According to a National Endowment for the Arts survey, nearly 40 percent of adults in the U.S. — or 81 million people — attended at least one arts activity in 2002. But what about the rest of us? Often, newbies and neophytes think that the arts are created for richer, more educated or more refined folks than ourselves. That’s simply not true. Armed with a little knowledge and know-how, it’s easy to find something enjoyable in the arts for every taste or budget. Your newspaper’s Arts & Entertainment section or free weekly paper will be your best guide to local arts events, festivals and performances. Enjoy a particular venue, gallery or theater? Most have a mailing list or e-newsletter to inform patrons of upcoming shows; some even have special sneak-preview events for their members at discounted rates. Or, if you’re on a tight budget, volunteering a few hours of your time (especially at film and art festivals) can often be exchanged for a free ticket or two to your exhibition of choice. Can you tell a Pollock from a Picasso? There’s something innately rewarding about learning to identify the different schools of painting and individual artists — whether they’re Masters of the Renaissance, Realists or rising stars of the art world. 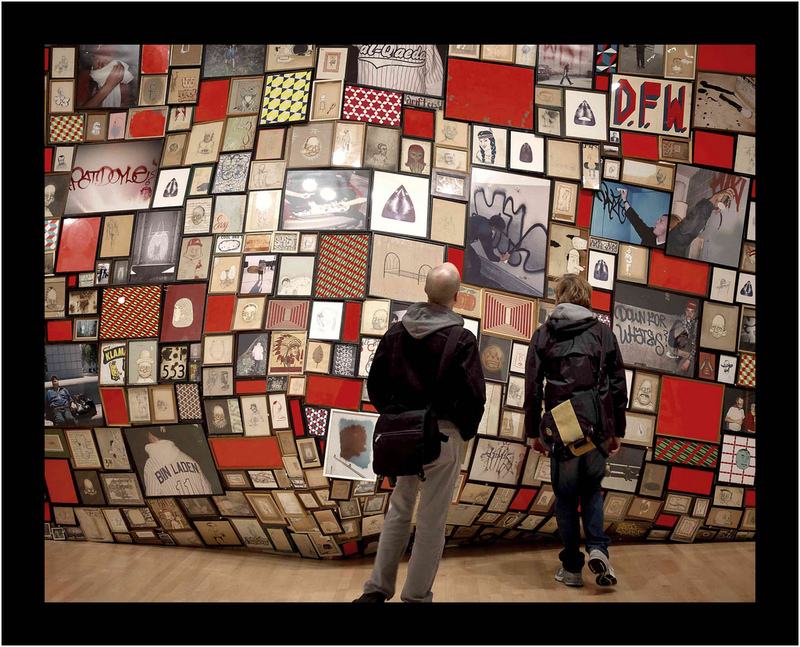 Public art galleries are a great place to begin your visual-arts education. Most towns, even small ones, have them. In addition, most have a “student night” or other free or discounted access. Private galleries are always free, because they operate like retail stores — they assume that all who enter are prospective buyers. Most of the time, the staff are happy to chat and tell you about the artists, even if it’s obvious you don’t have a spare ten grand to pick up that limited-edition print in the corner. However, if you’re shy about wandering in alone, you can always attend an opening instead. Dates and times are usually listed in the paper and on artist postcards at the gallery. Art openings equal free admission to free art (and sometimes free wine and snacks too) alongside the anonymity of being part of a crowd. Or, to make a night of it, look for your city’s designated “Art Walk” days, usually the first or last Thursday or Friday of every month. During art walks, galleries stay open for a few extra hours in the evening so that participants can enjoy numerous exhibits at their leisure. If you are lucky enough to live near a local art college, it’s an ideal place to check out up-and-coming artists. Best of all, because they are just starting out, their artwork tends to have more affordable price tags for the aspiring art collector. Call or check the school’s Web site for show schedules. Also, colleges and universities often have art collections and/or galleries that are free to the public. Classical music, dance and opera can be intimidating for many reasons. Sometimes a little advance research on the storyline and background, especially with opera and ballet, can allow you to follow the performance more easily, thereby enhancing your enjoyment of the overall experience. If you’re close to a school that offers a music, opera, ballet or other dance program, their calendar will be likely be filled with student recital times. Most days will offer a choice of lunchtime or evening performances, absolutely free. If you’re picky, watch for grad-student performances to see candidates that will soon be pursuing professional careers. Orchestras and opera or ballet/dance companies often offer discounted seats to their dress rehearsals, usually to student groups and donors, but sometimes to the public as well. Usually, the dress rehearsal is exactly like the performance, with the exception of a few pauses for notes. A live opera is the most costly type of musical production that exists (that is, other than the typical Rolling Stones concert). Bigger companies, as with operas and symphonies, will often also offer rush seats for those willing to stand in line. They’re usually offered at a big discount, making it worth the wait. If you’re lucky enough to live in or near a really big urban center, like Los Angeles or New York, you can often enjoy big productions last-minute (and on the cheap). Who can think of live theater without thinking of Broadway? Most cities have theater venues that promote large-scale, touring productions. In addition, many cities also have smaller, independent theater troupes (think off-off-Broadway) whose repertoires can range from original one-act plays to performance art to comedic antics that play off of the crowd. On a budget? Look for matinee performances or those that offer admission on a sliding scale. An easy way to introduce yourself to new works of literature is to attend readings. Most authors go on tour to promote their latest tome, sign books and give free readings at bookstores across the country. How about words and theatrics? Look for a poetry slam or open-mic night near you for a wild night of uncensored, competitive creativity onstage. If you’re still intimidated, then by all means, learn some of the basics at the library before you go to a show. Most public libraries have countless books, CDs, videos and DVDs that can serve as handy beginner’s guides to art, opera, dance, drama and theater. But remember, while knowledge can be helpful, the real key to understanding or appreciating art is to experience it first-hand. Tiffany Owens is a freelance writer in Portland, Oregon.